In 2019, there are now over four billion active internet users, and over three billion social media users, worldwide — simply put, that’s a ton of opportunity for your brand to engage with an audience and achieve massive growth for your business. One of the most effective methods for spreading brand awareness and attracting new customers to your business is through content marketing. Content marketing is a marketing strategy that focuses on creating, publishing, and distributing valuable and relevant content online, with the purpose of reaching a targeted audience and incentivizing profitable customer action. Ultimately, customer marketing is a critical component for long-term, sustainable growth. 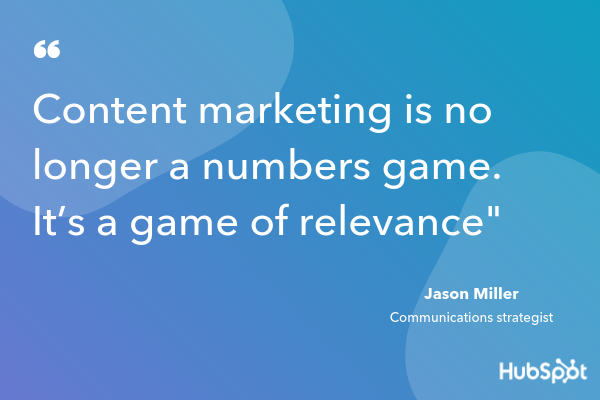 And yet, despite its immense impact, many marketers don’t know how to implement a successful content marketing strategy. In fact, 63% of businesses don’t even have a documented content strategy. To ensure you’re able to cultivate a truly valuable content marketing strategy in 2019, we’ve created this round-up of content marketing tips — keep reading to become a true content marketing expert. Make sure your content has a clear, measurable business goal. Rely on analytics to track your performance. Keep content consistent and up-to-date. Adopt a historical optimization strategy. Ensure your brand voice remains steady across channels. 1. Make sure your content has a clear, measurable business goal. You might be overwhelmed by the sheer amount of content you can create for your business — anything from Instagram Stories, to blog posts and e-books, to podcasts. For instance, let’s say you decide you want to lean heavily into a blogging strategy. 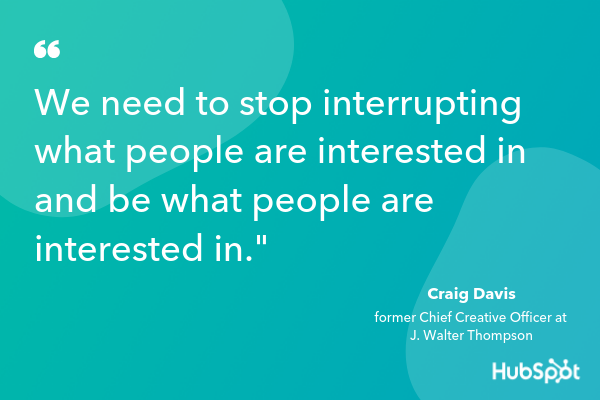 Simply crafting and publishing content isn’t enough — instead, it’s important you identify your target audience, and decide how your content can best serve that audience. Additionally, you’ll want to use analytics to ensure your content is able to reach the right people with the right search intent. Once you identify how to serve your audience, you’ll want to ask yourself, “How does this tie back to the business?” While it’s critical you write quality content to grow your audience, it won’t help attract prospects if it doesn’t tie back to your business. 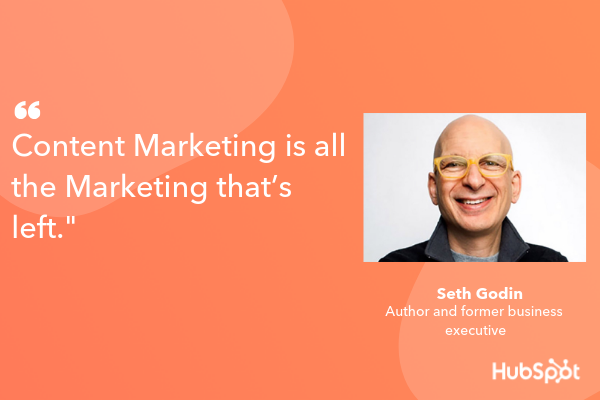 Take a look at This Strategy Helped the HubSpot Blog Break a Year-Long Traffic Plateau to learn more about cultivating a business-focused strategy for content creation. 2. Understand your buyer’s journey. A good content marketer understands that her strategy needs to engage and delight a reader at any stage of the buyer’s journey. While your content should be used to initially attract new visitors to your site, it should also be used to convince hesitant prospects to purchase, and encourage customer retention and long-term brand loyalty. For instance, perhaps you understand many customers become hesitant to purchase your product because they believe you need extensive video knowledge to succeed with it. To help mitigate concerns and aid your sales team, you might create a video campaign to show customers how to use video marketing in 2019. 3. Rely on analytics to track your performance. Quality content is important, but it doesn’t mean much for your business if your visitors and viewers don’t convert into customers. This is why analytics is so important — by carefully monitoring, tracking, watching, and reporting on the numbers, you’ll be able to gauge what’s working, what isn’t, and what could be working better. Traffic is important, but it’s important you also focus on conversion rates. Perhaps your Instagram account has only 1,000 followers — alternatively, your blog has 7,000 readers. However, your Instagram page has a conversion rate of seven percent, and your blog only converts at about .01. This should tell you that, while your blog is important for an initial introduction to your business, your Instagram is critical for sales, and shouldn’t be ignored. Additionally, focusing on analytics will help you refine and improve your strategy for the future. For instance, let’s say you notice your blog readers are particularly interested in your blog topics related to e-commerce. This can help direct your future strategy — you can choose to focus more heavily on e-commerce topics, which will increase traffic (signaling your readers are happy with your content), and ensure you’re spending time and effort where it matters. 4. Keep content consistent and up-to-date. Exclude the year in the URL when you’re optimizing your content. Cool URLs don’t change. Include the year in the title of your content. Schedule your editorial calendar to revisit this content every year so you can keep it up-to-date, which could include updating the title tag, meta description, and content itself. It’s important to note, if you do implement an optimization strategy, it’s critical you don’t update the URL. The URL should remain the same to ensure you don’t need to re-earn backlinks. Additionally, you don’t want to create unnecessary redirects. Additionally, consistency is key. Publishing consistent content will help you rank in the SERPs, but it will also establish trust in your readers and viewers. 5. Adopt a historical optimization strategy. A few years ago, the blogging team at HubSpot figured out the importance of adopting a historical optimization strategy. Through repurposing old (yet still high-quality) content, the team was able to double monthly leads, and increase monthly organic search views by an average of 106%. Ultimately, you don’t want old content to go to waste. If a topic is particularly evergreen (like “how to create a blog”), it makes sense you’d put time and effort behind repurposing the topic. It takes time and talent to craft highly useful, engaging content — so, by finding ways to recycle existing content, you’re ensuring peak efficiency. Additionally, repurposing content allows you to reach a new audience. For instance, let’s say your podcast team published a high-performing podcast episode. Why not turn that episode’s topic into a blog post? Alternatively, maybe you created a blog post that performed significantly well — now, you might consider creating a YouTube video that covers a similar topic, to reach an audience that prefers video over text. Repurposing your content will also ensure your audience has more than one chance to see it. Your readers, viewers, and followers are busy. Consider simply implementing a new content promotional strategy on a piece of content that deserves to be resurfaced. 7. Ensure your brand voice remains steady across channels. Whether you visit Spotify’s Twitter page, YouTube account, or stumble across one of their billboard advertisements, you can quickly get a sense for the brand’s funny, candid, youthful voice. This is what makes me feel connected to Spotify — its unwavering brand consistency, regardless of the channel on which I choose to engage. If you need help crafting or refining a brand voice, check out How to Find Your Brand’s Voice [SlideShare].